The first of the Historic Somerset Hills Village Cat’s Meow collectible series. 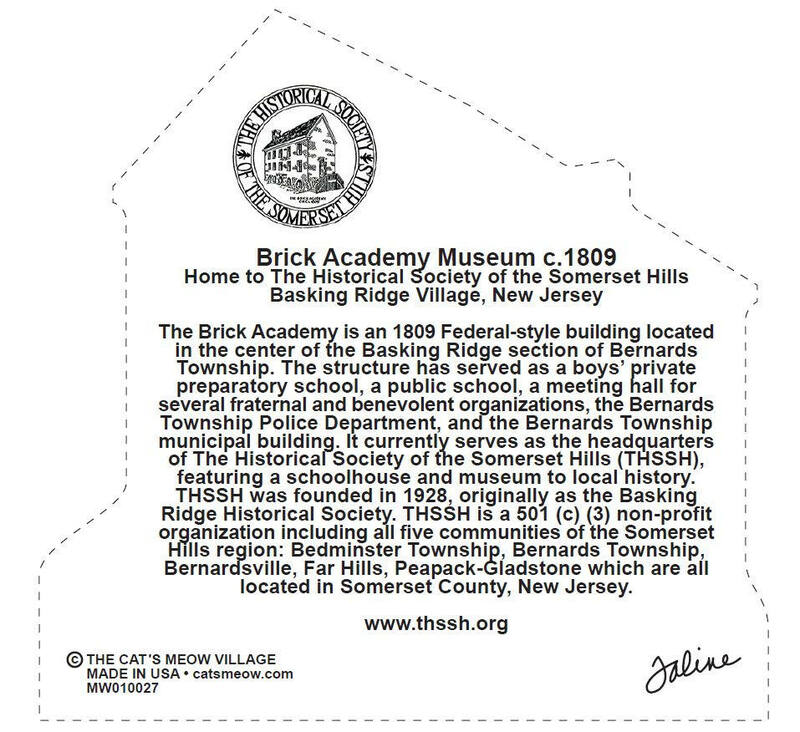 Mr. Local History, in conjunction with T3 Consortium and the Cat’s Meow Village introduce the Inaugural Keepsake of the Historic Somerset Hills Village Collection, the 1809 Brick Academy in the Basking Ridge Village of Bernards Township, New Jersey. Welcome to the Historic Somerset Hills Cat’s Meow Village. The Historic Somerset Hills Village keepsake collection is a new collectible series honoring historic iconic buildings, properties, and fixtures that are part of the historic fabric of our community. 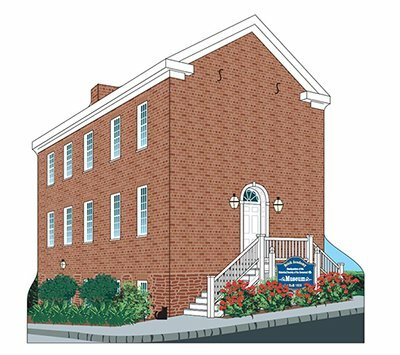 The inaugural keepsake, the historic Brick Academy, celebrates the iconic Basking Ridge Village building that is listed on both the state and national historic registries, and serves as the home to The Historical Society of the Somerset Hills and a museum. The collectible is available for only $25 with proceeds going to promote local historic programs at the Society. On the back of each collectible is a short story of the historic property. 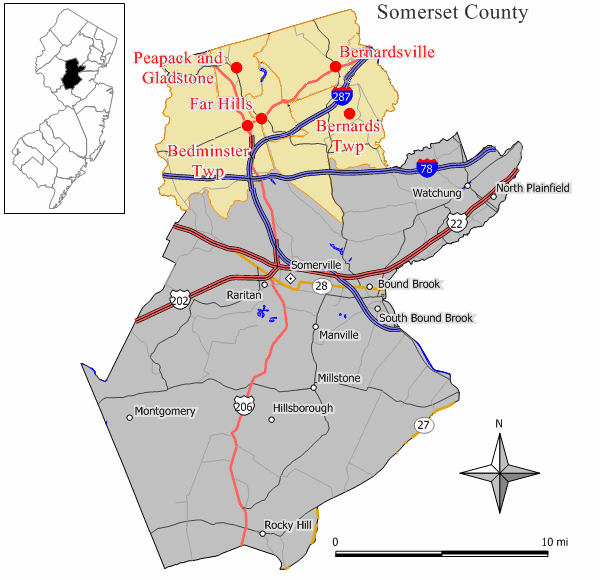 This particular run was created for the Historical Society of the Somerset Hills to offer to its members. The wooden painted collectible dimensions. 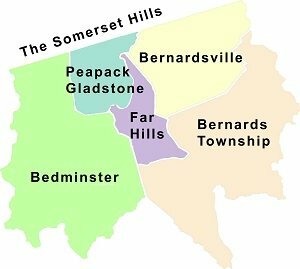 Additional keepsakes will be added to the Somerset Hills collection as part of a multi-year effort to promote and preserve history in the Somerset Hills including Bedminster, Bernards Twp., Bernardsville, Far Hills, Peapack and Gladstone. The series was started by Brooks Betz, a resident of Basking Ridge. 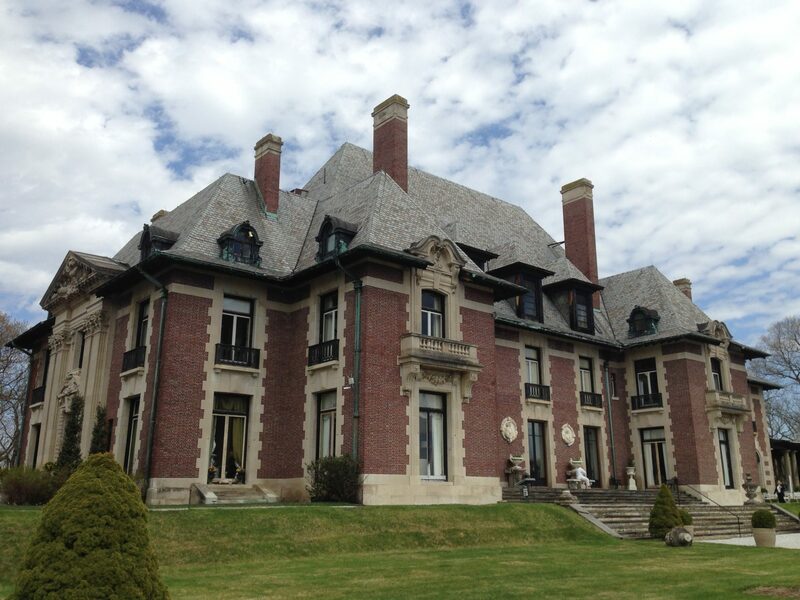 “There are so many great historic icons in the Somerset Hills and we’re really excited to launch our keepsake program in conjunction with the Society’s 90th anniversary. We plan on adding additional keepsakes throughout the year and will even sponsor a contest where the public gets to vote for a future keepsake.” The keepsake is meant to display on a counter or shelf. It is made of a sturdy 3/4″ handmade wood block and then painted. Many people collect other village pieces and build a village collection. The creations are part of the historic Cat’s Meow Village Collection, which has been producing iconic wood ornaments for over 35 years. 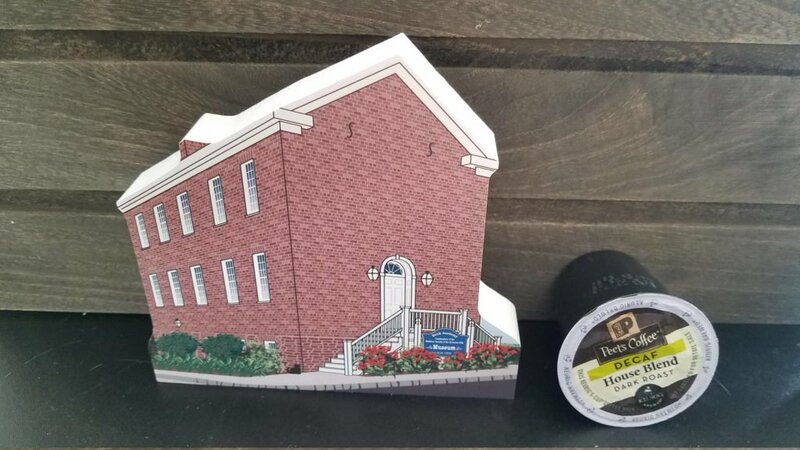 The local historical society and other local outlets will be producing limited batches of the Somerset Hills Keepsake Village. A small inventory should also be available at the Brick Academy Museum as well as online via the Mr. Local History Gift Shop. 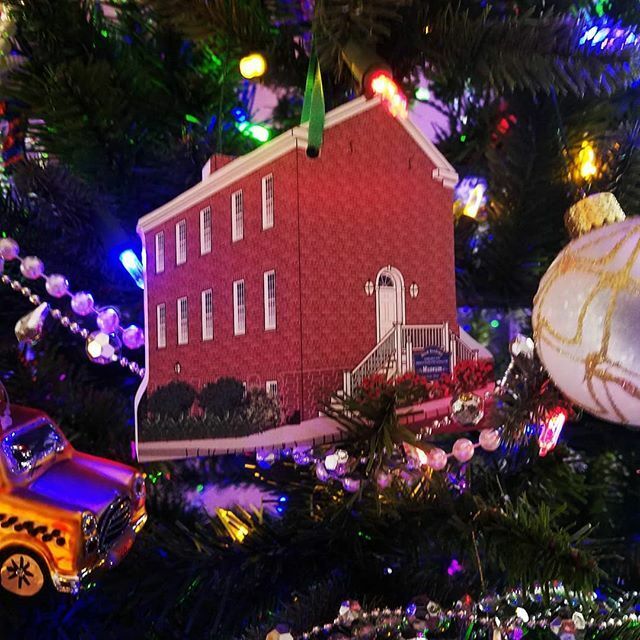 If you like, you can even get your Basking Ridge Village collectible with a hanging ribbon and put right on the Christmas tree. The easiest way to get one is to order online via our Etsy Store. Our online store accepts multiple forms of payment including credit/debit cards and Paypal. Orders are now being taken online to ship our first batch in late January 2018. Orders are processed on a first come/first serve basis. 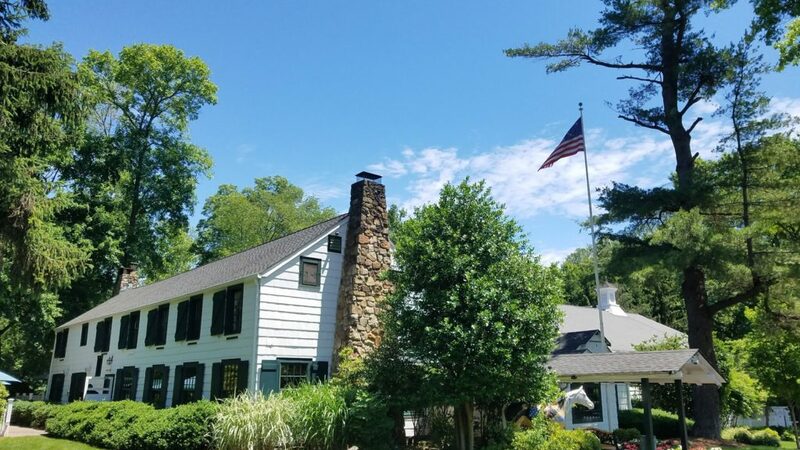 The Historic Somerset Hills Village is created by T3 Consortium who then licenses out to various organizations for fundraising and promotional activities.